The Switchblade™ MIPS is their new ASTM downhill certified full face helmet with a removable chinbar. Everything about the Switchblade is optimized for the descent, and that’s why it’s certified to CPSC, EN-1078 and ASTM-1952-DH with and without the chinbar. The chinbar is easy to remove—just push the buttons under the chinbar, rotate up, and remove—and it’s just as easy to reinstall. 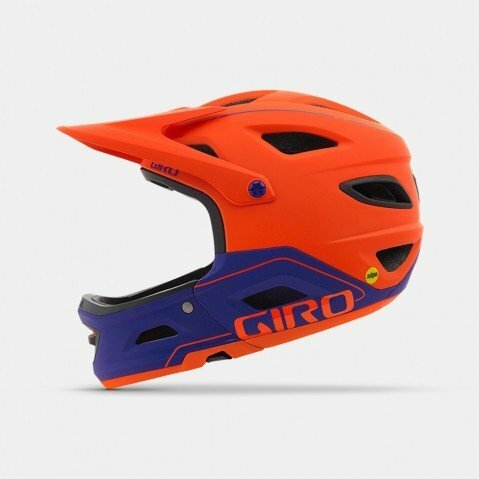 The Switchblade MIPS features the new Roc Loc® Air DH fit system, which has a bumper around the dial to prevent accidental adjustments if your helmet contacts your backpack or neck brace—all while keeping you cool. When the chinbar comes off, Wind Tunnel cheek pad ventilation adds even more cooling power as you start to climb. 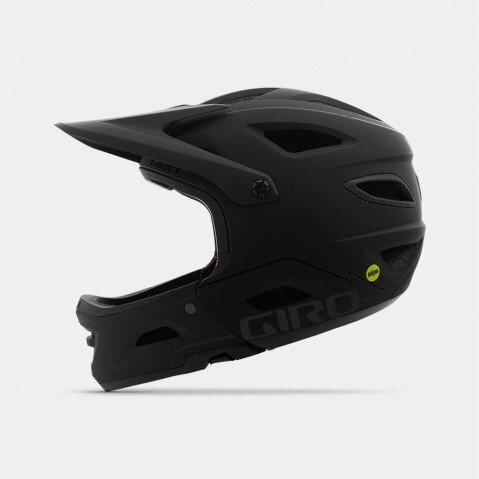 Plus, the full-cut style gives this helmet an aggressive look and provides ASTM certified coverage even when the chinbar is removed. When your ride is all about descending, your helmet should be too, and the Switchblade MIPS is the only removable chinbar helmet that is truly built for the down.